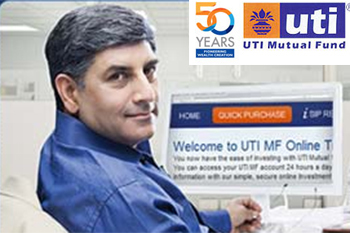 UTI Mutual Fund is offering an unique Mutual Fund Investment Solution called ‘UTI SMART PLAN’, which will provide benefits of Wealth Creation, Protection and Retirement in addition to tax benefits under Sec 80C of the IT Act, 1961 up to Rs.1.50 lakhs. Delaying the decision on investing for Tax Saving results in investors rushing at the last minute and not having enough time to evaluate the investment from a long-term perspective. It is a 10 year close ended Equity Linked Savings Scheme. The fund was launched on December 22, 2016 and will close for subscription on March 22, 2016. The investment objective of the fund is to generate capital appreciation over a period of 10 years by investing predominantly in equity and equity related instruments of companies along with income tax benefit. Suitable for investors looking to benefit from distinctive and concentrated portfolio primarily focussed on the business cycle and complements current investor portfolios that are pre-dominantly geared towards non-cyclicals. The tenure of the fund is 10 years with lock in period of 3 years. No entry or exit loads are applicable. The fund offers 2 plans- Direct and Regular and second options viz. Growth and Dividend option with pay-out option only. Investing in UTI Long Term Advantage Fund –Series V allows tax concession in multiple ways, primarily the contribution of up to 1.5 lakhs in the scheme is eligible for tax benefits under Sec 80C of the IT Act, 1961. Secondly, the dividends received from the fund will be tax free in the hands of the investors and lastly redemption proceeds will attract zero tax on capital gain, as investment is held for minimum period of 3 years (lock-in). It offers life coverage with tax savings opportunity and a bundle other benefits such accident insurance cover and a balanced portfolio of debt and equity – thereby integrating asset allocation decision of the investors. The low-cost structure, simple health declaration process, transparency and liquidity are key attributes that make UTI - ULIP a smart investment plan. The scheme is positioned as a debt oriented balanced fund with a long term investment objective aiming to deliver capital appreciation. UTI RBPF (a Government of India notified Pension Fund), helps to create a corpus and aims to generate a flow of income post retirement. It is an open-ended debt oriented balance fund with a maximum equity allocation of 40% and the balance is in debt, this ensures to provide pension to investors after they attain the age of 58 years, in the form of regular income and liquidity in case of emergencies. Investors can also opt to receive the accumulated investment in the form similar to annuity by repurchasing the units over a period of time in the form of periodical cash-flow, based on the repurchase value of their holding then, through a systematic withdrawal plan, after they reach the age of 58.